Really enjoyed this tour and our guide Ernesto was very knowledgeable and helpful. Ernesto was on time, spoke excellent English and is very experienced as a guide. By far one of the best things I did in Cusco! Valentin helped to coordinate the tour and Fernando was my guide for the day. Fernando was a great guy with a friendly personality, and was very knowledgeable. This tour was thorough and comprehensive. We saw a a lot - way more than we could have seen on our own in one day. 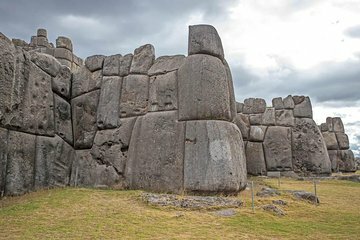 The itinerary was great we hit up all the highlights of Cusco, learned about history and culture along the way and got immersed in the beauty that Peru is. There were so many things that would have gone unnoticed if I had not had Fernando with me. He offered depth and perspective to my first experience in Cusco and helped me fall in love with a great city and a wonderful country. Highly, highly recommended!! Valentine was punctual and very knowledgeable. The trip was amazing! We were lucky, the weather was perfect, so we could take time to explore different kind of archaeological sites. Also the Cuzco market was one of a kind. Thank you again Valentine. We wish you success with your charity work! Valentine, our tour guide was awesome! He showed patience and compassion and let us take our own time. It took us more time to climb up and down and therefore it took longer than expected for the tour but he did not huff or puff or looked at watch ever and showed everything with keen interest. He was very knowledgeable and knew what would interest us the most.